EyePlay™ Reverse-Depth Signage seems to warp, move and play with you as you move past it. Extremely attention getting. 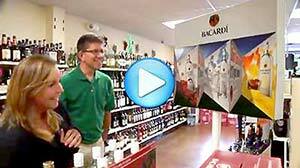 A great way to advertise and attract customers. A light-weight pre-printed plastic vacuum-formed sign. 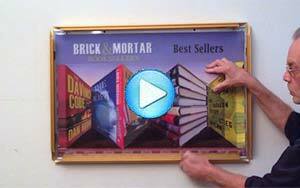 A vacuum-formed sign with clear areas to reveal updatable information, books of the month, etc. This patented EyePlay™ card is a demonstration piece made to fit a business envelope. 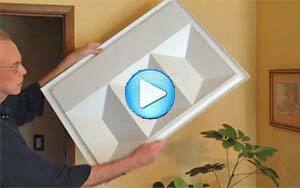 The fan-folded shape can be scaled up to mount on a wall, or support stand in a store, or for example 10 x 30 ft. for an outdoor sign to meet your needs. 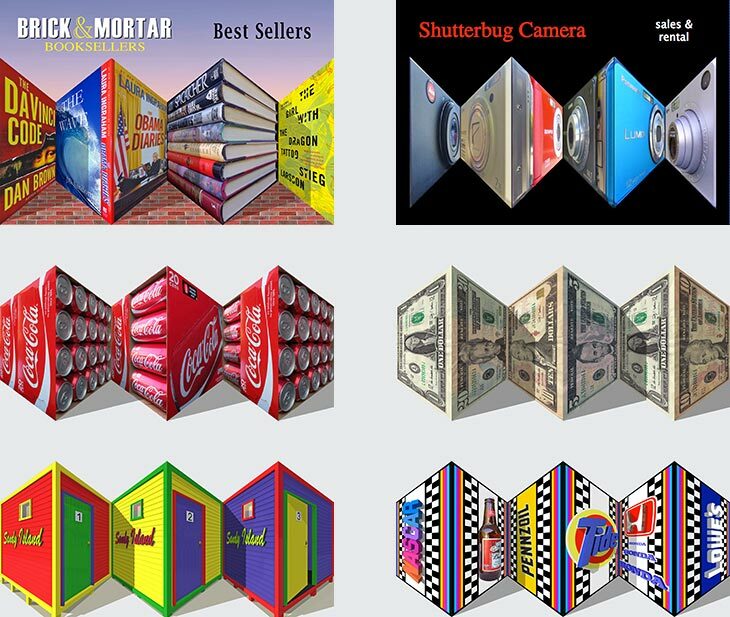 The signs start with the desired image, whether photographing an object or drawn in a computer, and printed on a folded shape, with the depth the exact opposite what the viewer would expect. When the viewer moves laterally past a sign, the panels that would be expected to get narrower through motion parallax appear to expand in width creating a reverse-depth illusion.